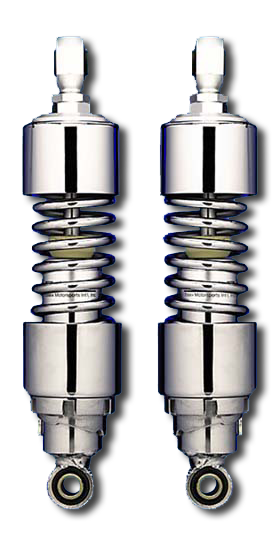 show chromed steel bodied shocks. DOUBLE ADJUSTABLE ride height adjustment and spring pre-load adjustment. Fits 1982-1994 and 1991-2003 XL models.